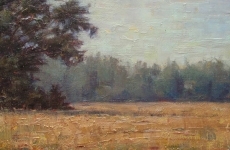 Here’s a landscape I painted a few years back. I thought about it today as I drove past in the sweltering heat of late June. 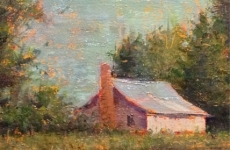 Oil on Panel 9×12″. Private collection.